In essence, a book review is a kind of argument. As a reader, you form an opinion when reading a book, and it's your job to express these opinions by making various arguments. You can use historical facts, the author's biography, and the text itself in order to support your arguments. Do not forget that a review is not a summary. It should provide a short narration of the events that took place in the book, but it must be accompanied by your own commentary. Your task as a reviewer is to engage the audience or author in a dialogue about the book. You must highlight both its strong and weak points while clearly stating your opinion on the matters. 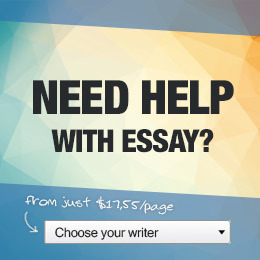 Writing this type of paper won't be difficult if you utilize some professional assistance. There are many online resources where you can learn everything you need to know about this subject. The thesis must clearly state your opinion on the book. In the body of the paper, you will need to present your arguments peppered with quotes and other evidence that you manage to find. In the conclusion, you will need to restate your thesis and sum up the arguments. Do not forget to mention whether or not you recommend that your audience read the book in question. You should state the reasons for this suggestion as well. Please note that in order to critically assess any text, you will need to study several additional works. It's imperative that you read the author's biography along with any other texts that are truly relevant for you to understand the book. Studying those materials will offer you a perspective that will allow you to see the characters in a new light. You can ask your professor for advice when looking for these sources. To prepare a good review, you will need to read the text at least three times. Do not take any notes during the first reading, as this can distract you from the text. However, a notepad and pen should be in front of you next time you sit down with the book. Review your notes to create an outline for the review, and slowly turn it into a high quality paper by using the evidence to refine your arguments.